LEGOLAND® California Resort will open their new Castle Hotel in Carlsbad, CA April 27. The new LEGOLAND hotel will provide families with children ages 2-12 a completely immersive experience in the magical world of LEGOLAND. 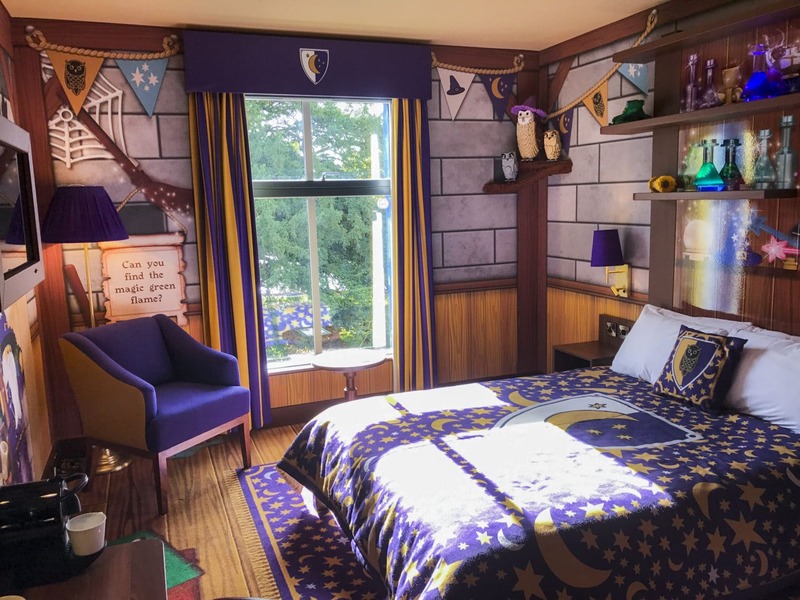 During a recent hard hat tour, guests received a first look at the 250-deluxe-themed room hotel as they walked through the Grand Hall, Dragon’s Den Restaurant, Royal Courtyard and took a sneak peek at the three room themes: Knights and Dragons, Royal Princess and Magical Wizard. Idris provided an overview of the hotel, and discussed the economic impact created by the 200 new job openings for LEGOLAND Castle Hotel. Details were also shared about the large LEGO Wizard model that will greet guests as they enter the Grand Hall, a slide that will connect the lobby to the first floor, and a knock knock door created to entertain guests. Dragon’s Den, the hotel’s full-service restaurant, will include an open kitchen for guests to watch chefs preparing their food, LEGO models, entertainers and locally-sourced food. Breakfast will be included with each guest’s stay and includes made-to-order items along with a buffet. The Royal Courtyard is designed to immerse children in a fairy tale of their own creation with a DUPLO play area for the younger kids, larger play structures for the older kids, giant movie screen for nighttime movies, a stage for live plays and shows, a gradual incline pool and hot tub. The pool bar and grill will offer smoothies, sandwiches and salads prepared fresh to order. At the hard hat preview, guests explored each room theme and viewed one of the 20 suites available. A Resort Master Model Builder greeted guests in the Magical Wizard theme room and treated them to a sneak peek of a few of the 2,100 LEGO models made out of more than three million LEGO bricks that will be featured inside the rooms and hotel. 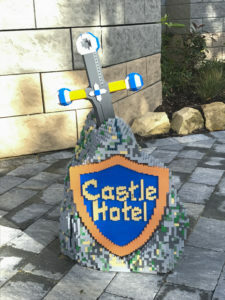 For information or reservations, visit LEGOLAND.com/castlehotel.